What is backstopping in golf? 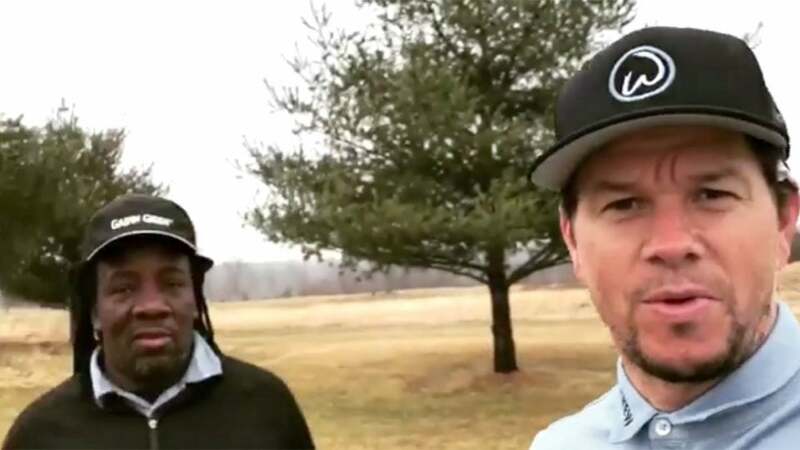 Golfers -- and celebs like Mark Wahlberg -- are taking advantage of this unusually warm weather and hitting the links. Ah, backstopping. We are glad you asked what it is. It's come up on social media and golf telecasts plenty these days, and some think it's a big problem in professional golf. But what is it? Backstopping is when one player, either consciously or not, doesn't mark their ball when on the green, especially when their ball is close to the hole. This gives other players who aren't already on the green an advantage if they were to hit the unmarked golf ball, which would play as a "backstop" to their ball. In the situation where the golf balls collide, the player who hit the other ball would play from where their ball came to rest, while the player who didn't mark their ball could return it to its original location. Neither player is penalized. The backstopping controversy heated up when PGA Tour player Jimmy Walker said on Twitter in June 2018, "Usually a guy will ask if he would like to mark it. If you don't like a guy you will mark anyway. If you like the guy you might leave it to help on a shot. Some guys don't want to give help at all and rush to mark their ball. To each his own." Many argue that not marking, which brings backstopping into play, isn't fair to the rest of the field in a golf tournament. In fact, backstopping is covered in the Rules of Golf. According to Rule 22-1, Ball Assisting Play, "in stroke play, if the Committee determines that competitors have agreed not to lift a ball that might assist any competitor, they are disqualified."